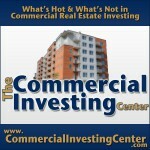 In many ways, commercial investing and residential investing are different. In other ways they are the same. One area of similarity is the need to periodically raise rents to keep up with ever-present effect of inflation. For landlords who aren’t sure how they should go about doing the deed, here are some general suggestions. First, what not to do. Landlord departs while tenant stands in open-mouthed shock. • If there is a lease agreement, rent cannot be raised during the term of the lease, unless provided for by the wording of the lease. Even then, take care. Some states allow a tenant a 21 day window to get out of the agreement. increase is 10 percent or less. An increase of more than 10 percent requires a 60 day notice. How often do you raise rents? If you can’t remember the last time, maybe you should start thinking about it. 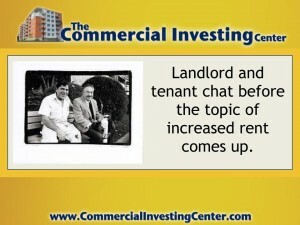 Obviously, rent increases can become a point of contention with both landlords and tenants. A tenant, of course, would like the rate to stay the same in perpetuity. Landlords counter with the argument that, due to inflation, the cost of everything else is rising. Why should housing be immune? Which begs the question: When is the best time to raise rents? Experienced landlords have different opinions on the matter. Some work in smaller annual increases while others wait until a tenant leaves, then remodel the unit and rent it out at a higher price than before. How much should rent be raised? Once again, there is no hard and fast rule to follow. One popular choice is to index the raise to the rate of inflation. At least then you have a number to point to that has a basis in reality. Of course you could pull a number completely out of your hat if you want. That’s the beauty of being the boss. Posted in Blog Articles and tagged how to raise rents, jason hartman, landlord tips, tenant rights, The Creating Wealth Show.